Envirosafe Ireland provides QRAE 3 Gas detection devices which is a versatile, rugged, one to four sensor pumped, wireless gas monitor that provides continuous exposure monitoring of O2, combustibles, and toxic gases, inc H2S and CO for workers and responders in hazardous environments. 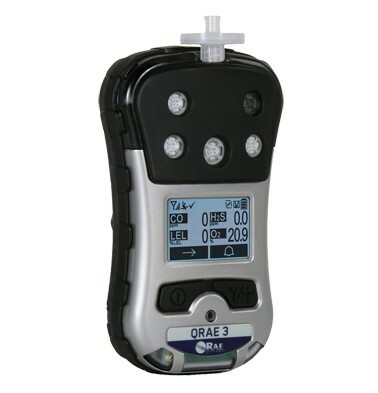 The wireless QRAE 3 is capable of detecting oxygen (O2), combustibles, and toxic gases, including hydrogen sulphide (H2S), carbon monoxide (CO), sulphur dioxide (SO2) and hydrogen cyanide (HCN) for workers and responders in hazardous environments. The QRAE 3 wireless communications capability enables access to real-time instrument readings and alarm status (including man-down alarm) from any location for better visibility and faster response. Real-time hazard readings can also be communicated to the ProRAE Guardian Safety System and the EchoView Host Mini-Controller Closed-Loop Wireless System for safety-enhancing wireless monitoring.